It handles beautifully and is a fast and assured cruiser. It has also won its class at the Club Concours. 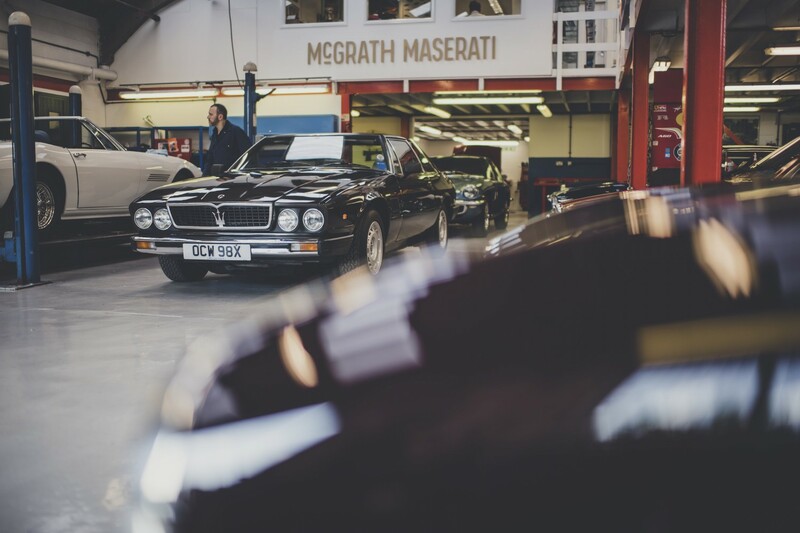 This is the rarest of all Maserati road cars and still offers amazing value for money. 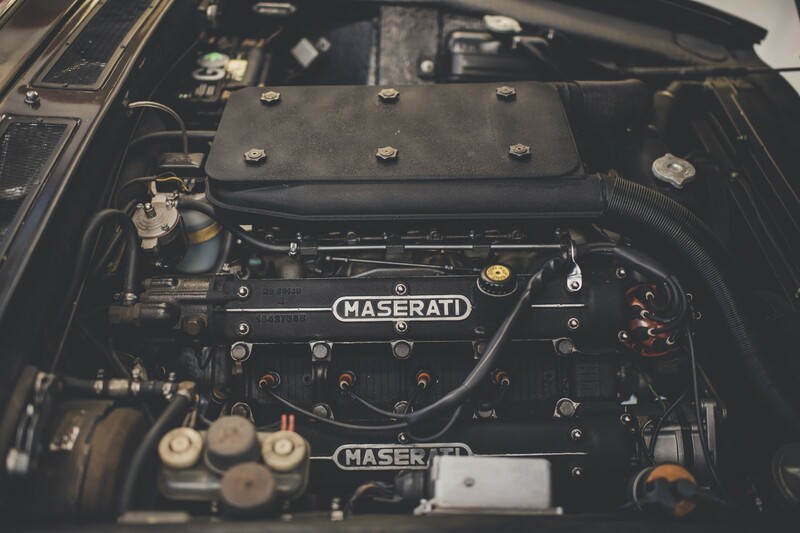 One of the most misunderstood of all Maseratis, the Kyalami has long been dismissed as an unhappy marriage of De Tomaso Longchamps and Maserati V8 engine, hastily combined to prop up De Tomaso’s fortunes when he bought the company. Of course, all of that is true, but in fact the Kyalami is a much better car than that would suggest. We’ve always liked them and some years ago decided to restore one for our own collection. Taking in a very tired 4.9litre auto version, we first had to address the body corrosion and so the car was stripped down, and the paint removed. As there are no new panels available, we used some second-hand replacements from our stock for the bonnet and one door. The bonnet in particular suffers on these cars as it is double-skinned at the front and traps water. New sill sections were made and the troublesome asbestos heat-shields that sit under the floors were removed and disposed of. 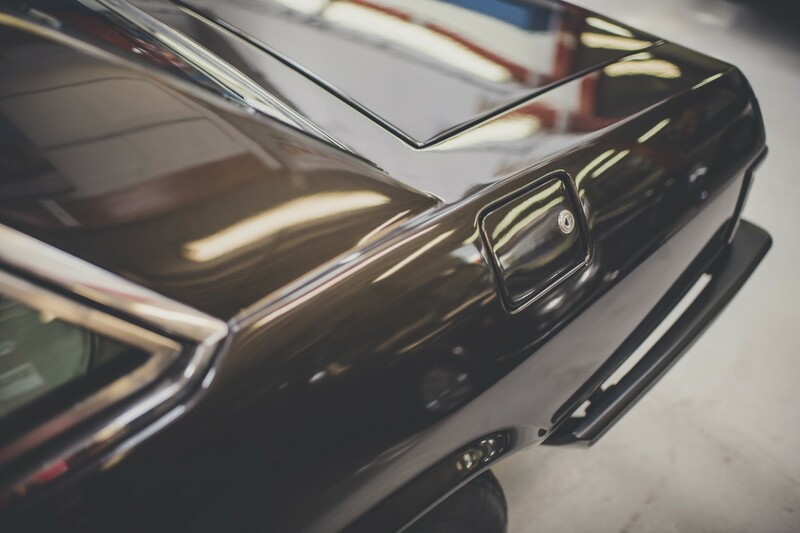 Originally dark metallic maroon, we decided to paint the car in a cool retro colour to go with its late 70’s style, choosing a metallic bronze (well, OK, brown). 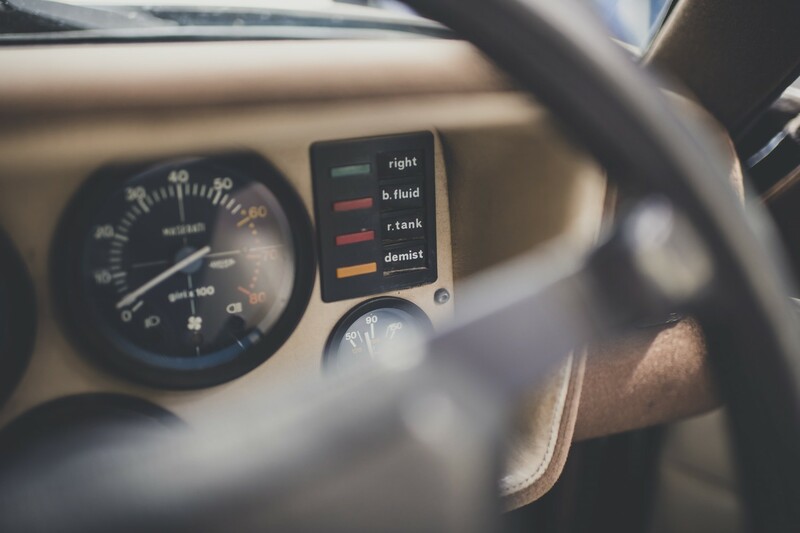 This combines well with the original cream interior, which was restored rather than replaced. New carpets completed the interior look. The engine was basically sound but the head gaskets were weak and therefore the heads were removed for overhaul, which gave us an opportunity to re-finish the crackle black, which we do in-house. All of the ancillary items were refurbished and the engine bay detailed. The automatic gearbox went to a Torqueflite specialist for overhaul and uprating to improve the change. Topped off with a new aluminium sump pan to replace the leaky tin original. 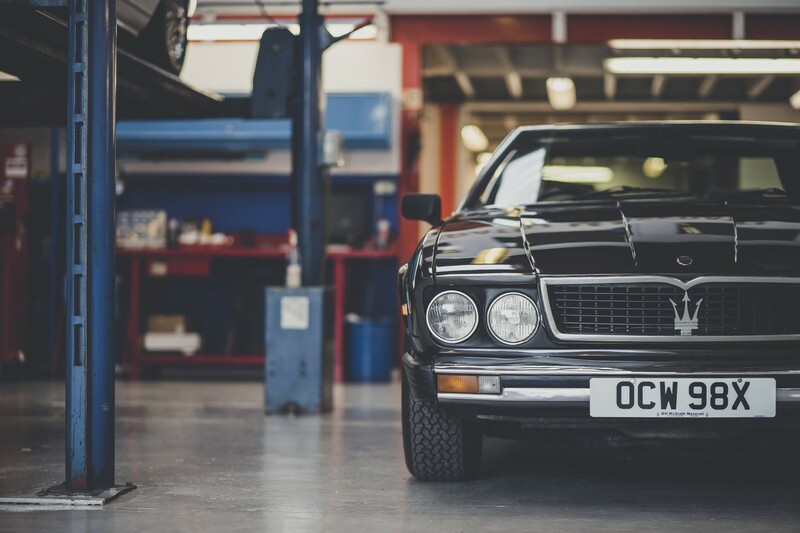 Together with new springs throughout and a suspension rebush, it all helped to make sure the car retained its sporting nature. 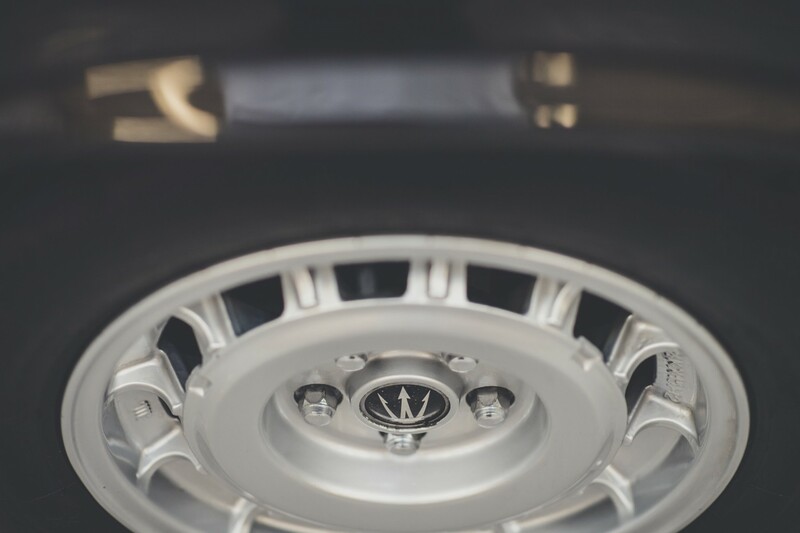 The distinctive chrome bumpers with fibreglass end caps are impossible to find for these cars and so much metalwork repair and rechroming was necessary, as well as resin repairs. The results look stunning. 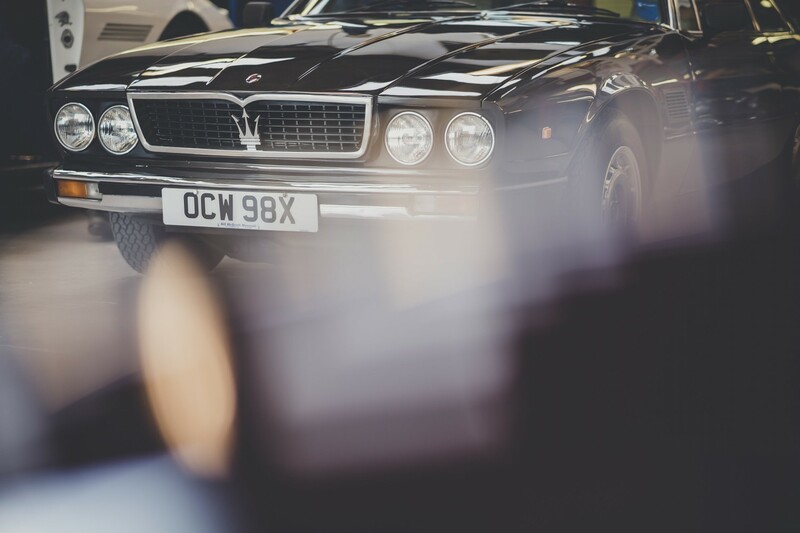 Since completion, our Kyalami has been a regular fixture at Maserati Club rallies, including the excellent Wexford event. It handles beautifully and is a fast and assured cruiser. It has also won its class at the Club Concours. 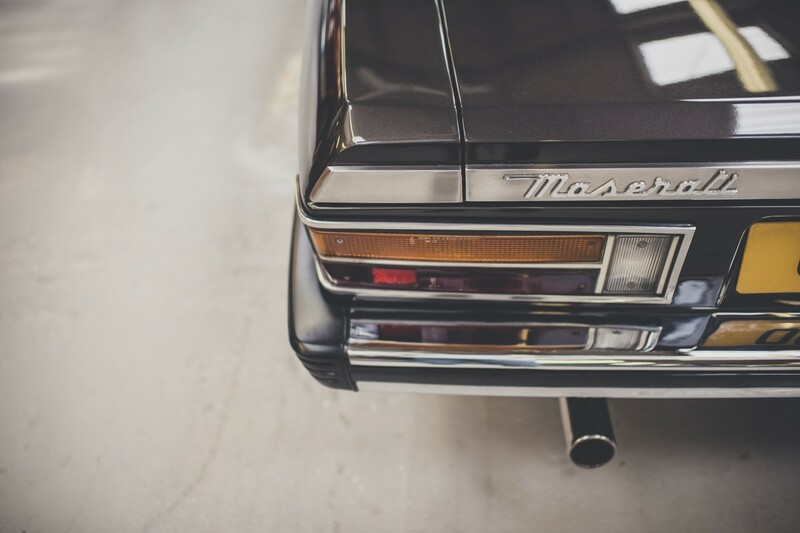 This is the rarest of all Maserati road cars and still offers amazing value for money. We love it.